Made by constantly Boiling the milk till it gets brownish. It has its own unique taste and mathod of making. Widely Used by Katchi's in every occasion. Shelf life of 12 days. Khavda Sweets, is since 1975 founded by Mr. Murji Kimji Davda. We server our client with best quality and 100% pure hygienic sweets such as Mesuk, Adadia, Anjirpak, Gulabpak, Kaju Katri, Milk Cake, Motichur Ka Laddu, Namkeens and many more. Our Sweets are made up using of 100% Pure Cow Gee & Milk and milk products like "MAVA". The unique taste and look of our sweets form our legacy. We exist to add sweetness and happiness to the special moments of your life. All our sweets are hand made in the original way too from boiling in a pot to rolling out on a large marble slab. 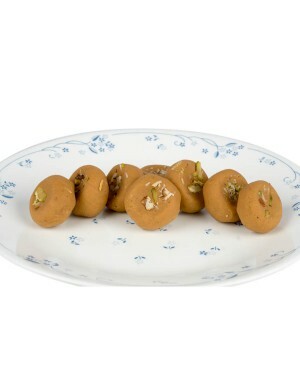 Our sweets are not just popular with the people of Bhuj City but are sent around the world, as these are unique recipes which can not be bought anywhere else & once you’ve tasted them we know you’ll be back for more too!Khavda Sweets, is since 1975 founded by Mr. Murji Kimji Davda. We server our client with best quality and 100% pure hygienic sweets such as Mesuk, Adadia, Anjirpak, Gulabpak, Kaju Katri, Milk Cake, Motichur Ka Laddu, Namkeens and many more. 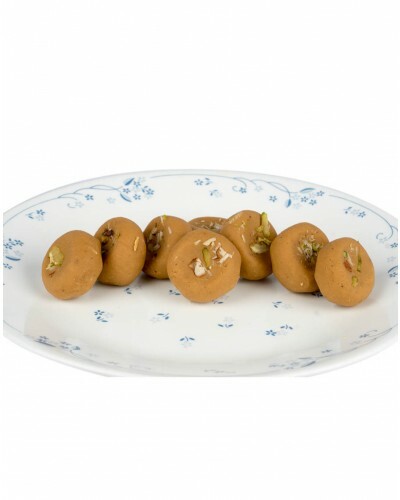 Our Sweets are made up using of 100% Pure Cow Gee & Milk and milk products like "MAVA". The unique taste and look of our sweets form our legacy. We exist to add sweetness and happiness to the special moments of your life. All our sweets are hand made in the original way too from boiling in a pot to rolling out on a large marble slab. Our sweets are not just popular with the people of Bhuj City but are sent around the world, as these are unique recipes which can not be bought anywhere else & once you’ve tasted them we know you’ll be back for more too! Kutchi Penda is delicacy of Gujarat that no other state of India can ever deliver. The Kutchi Penda are soft round and flattened in shape are so yummilicious that you will never stop at eating just one. The Kutchi Penda is no secret recipe yet it is best in Gujarat only. 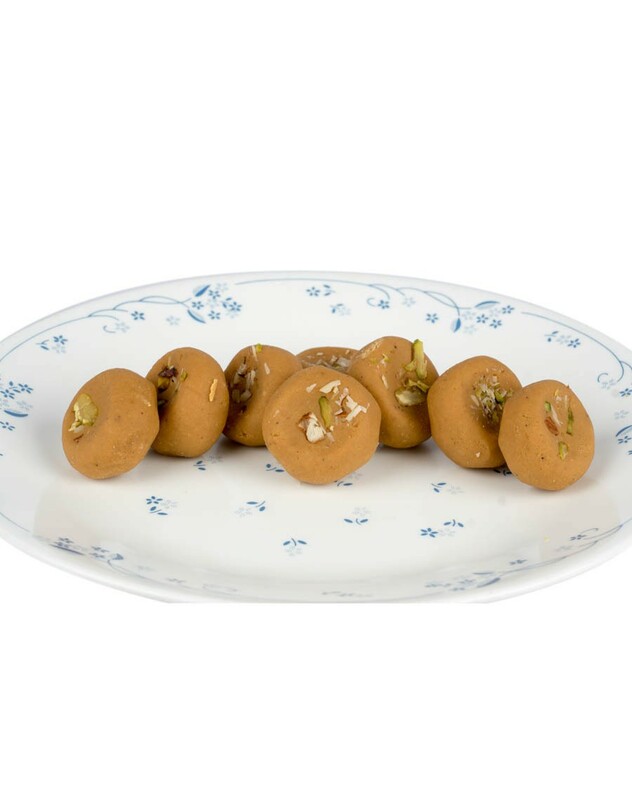 The Kutchi Penda are made from milk, sugar, cardamom and sugar. The milk is boiled that it condenses and gets thicker and thicker and then sugar is added. The cardamom adds amazing flavour to it. • Disclaimer: We are not manufacturer of any food products. We only supply products of original and reputed vendors across India. All products are dispatched directly from the vendor with their original packing and safe gaurded by doing wishvilla’s packing.